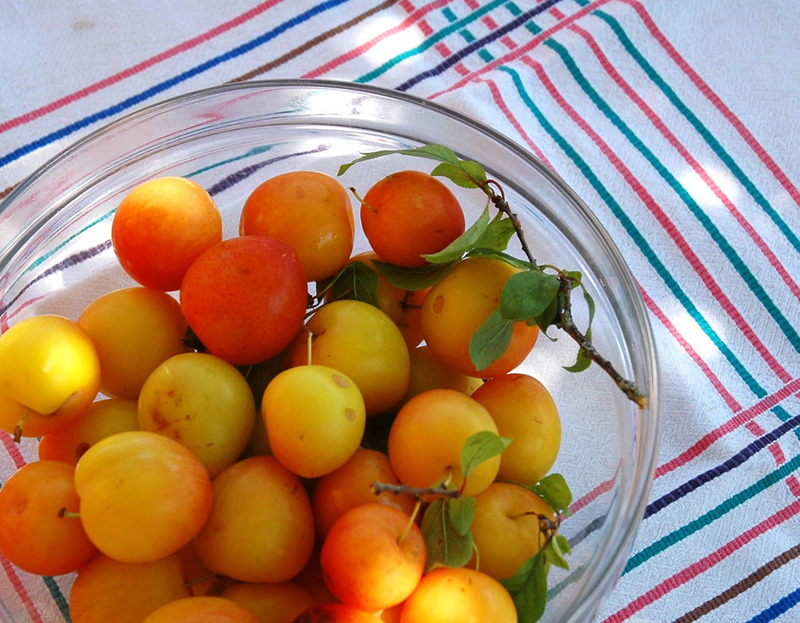 Desserts – GOOD food from the good life . . .
Winter has barely showed its face this season in the South of France but its drizzly enough outside to feel like soup. In an effort to make room in the freezer for a good stash of home made stock, AKA bone broth (in the past week, I’ve made chicken, duck and . . . he he he Cornish Game Hen stock, OH not to mention duck FEET stock) I thought it was time to use up some of those juicy blueberries that have been there since last summer. Is it a Crumble ? A Slump ? A Cobbler ? A Brown Betty ? A Grunt ? There are so many delicious North American Cakes using blueberries, but the BUCKLE is one of my favorites. Loaded with berries and pretty enough to pass as a dessert as well as a great tea time treat. Preheat oven to 190°C and butter a 23cm round spring form tin (square tin would work too) and line the bottom with parchment paper. In a medium bowl, whisk together the flour, baking powder, salt and ginger. In a large bowl, beat the butter and sugar until light and fluffy. Add the egg and beat until well incorporated. Add flour, bit by bit, alternating with the milk until mixed. Gently stir in the blueberries and pour into the prepared tin. Topping: Combine the dry ingredients, then mix in the butter using your fingers until you have a crumb-like texture. Sprinkle the mixture on top of the cake and bake on the middle rack in the oven for 35 minutes or until golden in colour. Cool for at least ten minutes before serving. Pics in file treated ! Easiest cake in the world ! This is my dearly departed mum’s recipe, so full of sentimental memories for me. 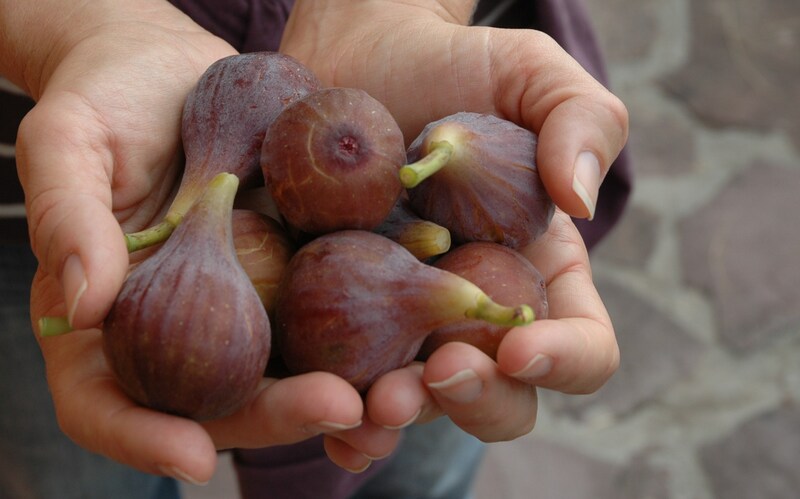 You know how the taste or smell of some foods will bring you right back in time? This one does it for me . . . Simple does NOT mean boring, give this a try ! This is not your usual cake recipe as the butter goes “only” on top of the batter. 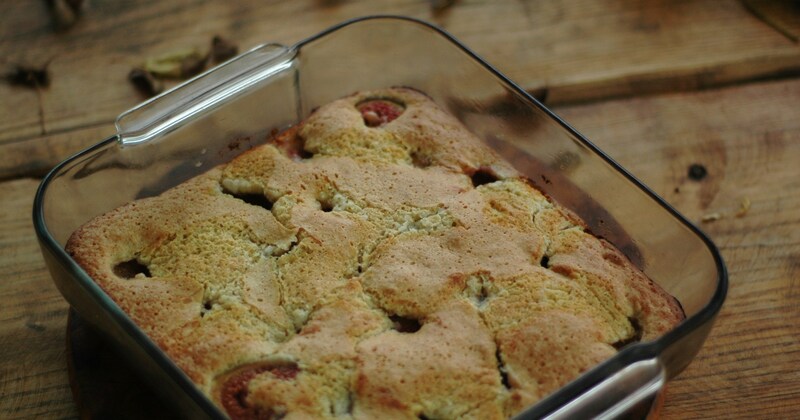 Some fruits will sink to the bottom, and some will partially sink and partially poke through the batter and become nice and gooey during baking. With fruit that is a bit on the sour side (especially rhubarb) a little sprinkle of brown sugar before it goes in the oven will give a nice caramel finish. 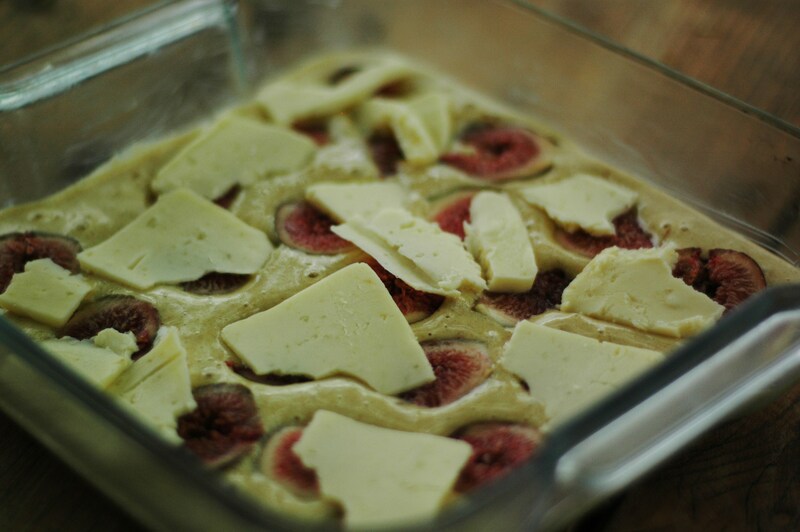 Preheat oven to 200°C (400°F) and butter a square 23 cm glass baking dish. Beat eggs until very light and fluffy; gradually beat in sugar. Beat in flour. Pour into prepared dish. Arrange a single layer of fruit over the top. Cover with thin slices of cold butter and if using very sour fruit sprinkle with a bit of brown sugar. Bake for 20 to 25 minutes (careful not to burn the bottom). Remove from oven and leave to cool in the pan. Either eat warm as a dessert with crème fraiche or in squares as a lovely cake with a cuppa tea. Though totally addicted to my solar oven, I’d given up on BAKING in it ! Until recently 😉 The problem is that most baked goods need to either rise, brown or both and a certain temperature is needed for that (and 100°C to 120°C is not it !). 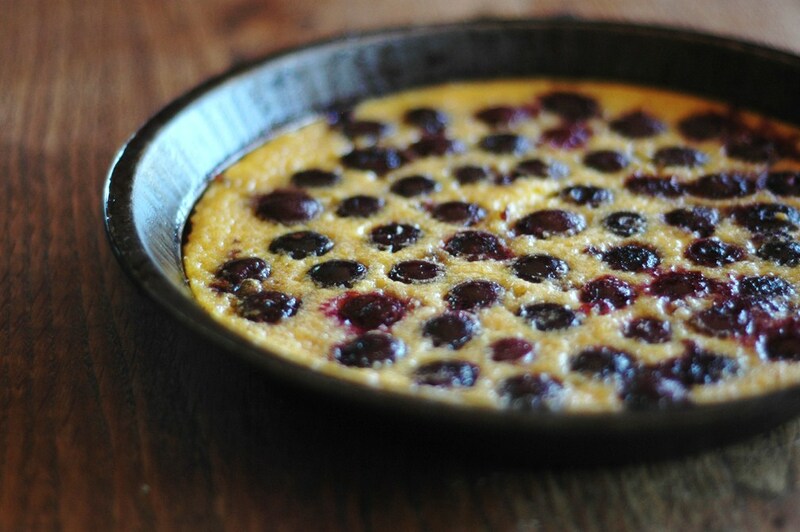 I decided to give a CLAFOUTIS a try as its not really a leavened dessert. SUCCESS ! It cooked perfectly and it was so hot out that it even browned (a bit). The taste made up for the lack of crusty edges that I usually get in the normal oven. 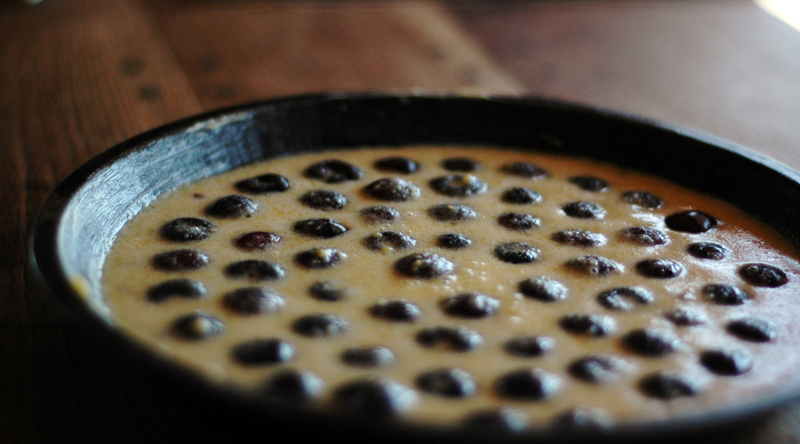 Instead of the traditional cherry clafoutis, I made this delicious blueberry version…. The recipe is for a traditional oven. If you are fortunate enough to own a solar oven, this went in cold and cooked in less than an hour uncovered. Ready when a knife comes out clean ! Preheat your oven to 210°C and butter a pie or tart dish. 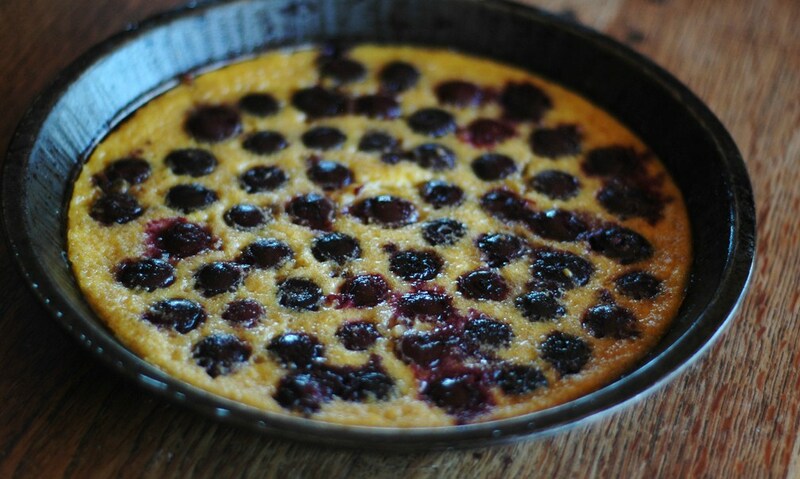 If you do make this with cherries, the REAL way is to leave the pits IN ! Melt your butter. In a large bowl, stir together the flour, sugar and salt if using. Incorporate the eggs one by one then the milk, slowly and the vanilla whilst stirring gently. Add the melted butter and stir well. Place your fruit in the buttered dish then pour over the batter. Cook for 10 minutes at 210°C then lower your oven to 180° and cook for another 20 minutes. Our family are converted ! 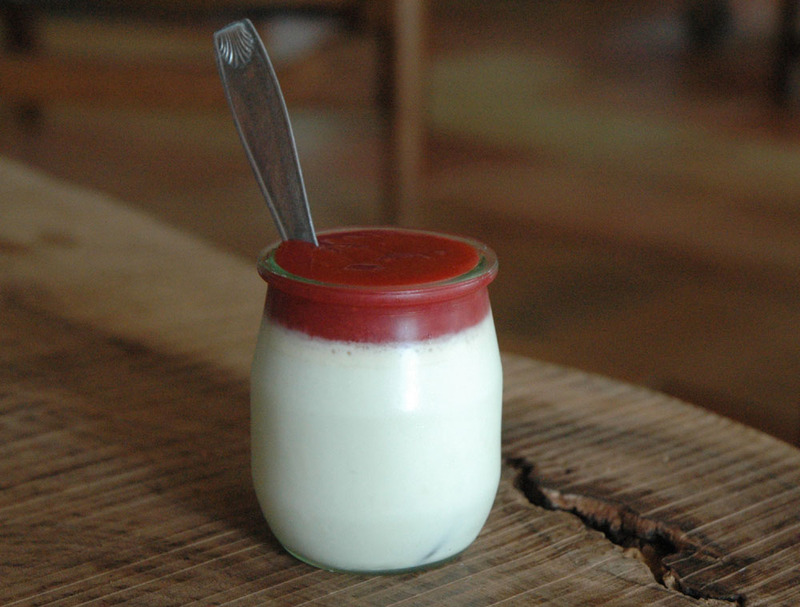 In France a simple yogurt is the dessert of choice for many families. I quickly adopted the idea and in the evening, I think it even helps me sleep (I read that somewhere !). As any family knows, the cost of pre-made yogurts adds up quickly as well as the temptation (fueled by your children) to buy the “flavoured” or “low fat” kind as there is so much on offer in the yogurt section ! So why not simplify things and make your own, its super super easy ! AND if you are already saying “I don’t have a yogurt maker”, well you don’t need one. 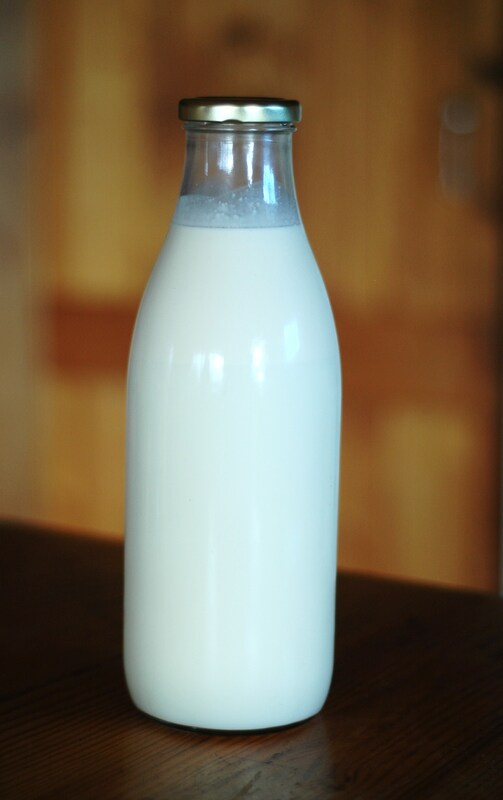 I do believe that raw and whole milk makes a difference, so if you can get your hands on that…. Bring the milk and the vanilla bean to a boil (WATCH it or it will overflow) then turn right down. Let the milk simmer for 2 to 3 minutes then take it off the heat and pop a thermometer in it. Leave it to cool to 48° to 50°C (try to be precise)…. The shop bought yogurt needs to be at room temp or warmer, I place it next to the milk pan while it heating up. Remove the vanilla and add the yogurt to the milk and stir well, I use a stick blender quickly to make sure the yogurt is well blended into the milk. 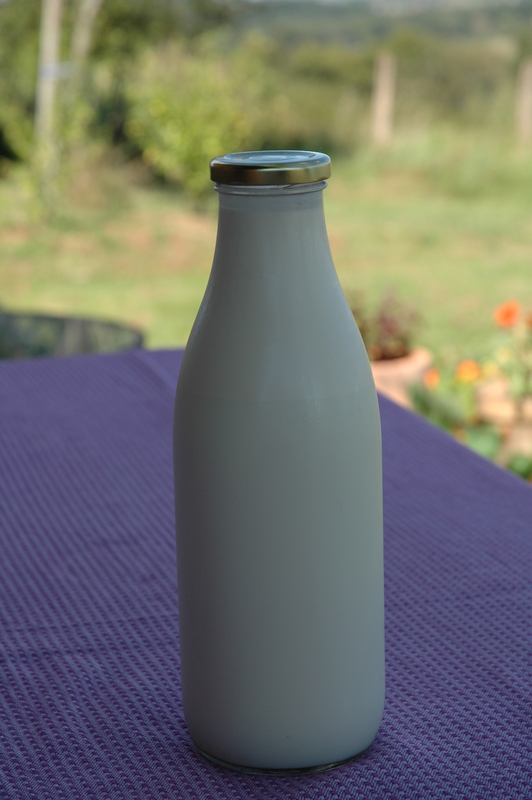 Without waiting or your milk will start to cool, pour into small containers or one bigger container, close and place into a cooler that you have lined with a towel or blanket. Wrap the blanket around the yogurt pots and close the cooler. Leave the yogurt in the cooler for around 8 hours before removing it and placing it in the fridge. My yogurt (its actually my husband that makes it in our house…. MERCI) lasts for over a week in the fridge. It doesn’t really go off, it just gets a bit stronger in taste veering towards “cheesy” eventually. 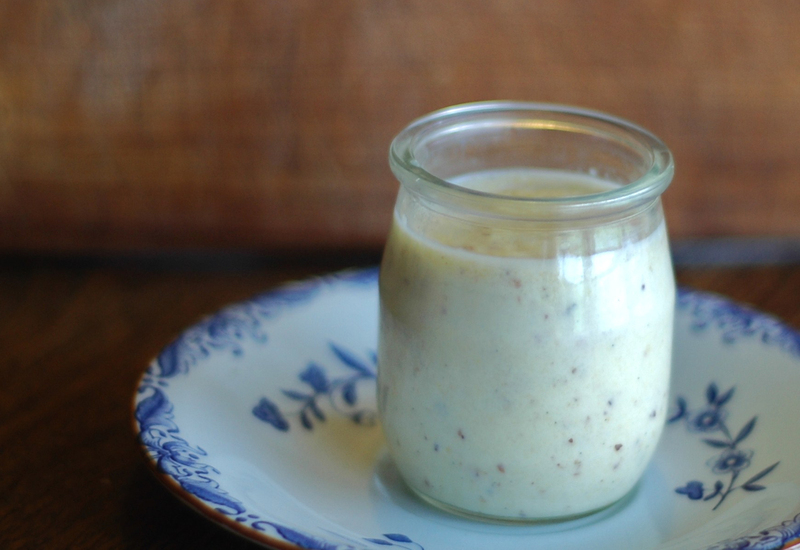 Note that you can replace the shop bought yogurt with one of your own but from time to time use a shop bought one to make sure the ferments are active enough ! In our house, we usually just eat our yogurt with some unrefined sugar or honey, but I also like mixing in some jam or fruit coulis ! 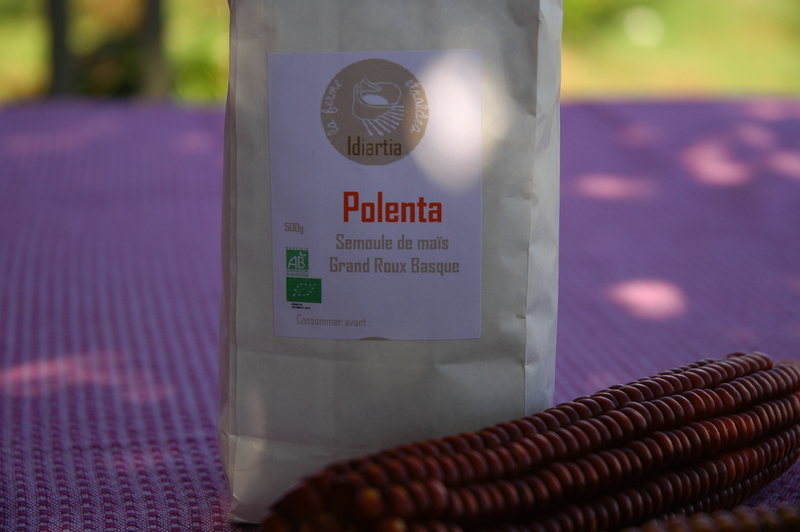 Since being in rural France I have discovered the wonders of Polenta ! Not because cornmeal is very popular in French cuisine (I tend to think more of Italy). Its a wonderful Producer, Jon Harlouchet who grows an old variety of RED CORN called Grand Roux, common in the Basque country many moons before the big seed companies took control of what we are to grow and eat. This corn is just perfect for making Polenta ! You can read more about it on my friend Carol Reid’s BLOG. More recently the Grand Roux variety of corn has been the given the SLOW FOOD ARK OF TASTE status, which helps protect biodiversity in traditional foods. 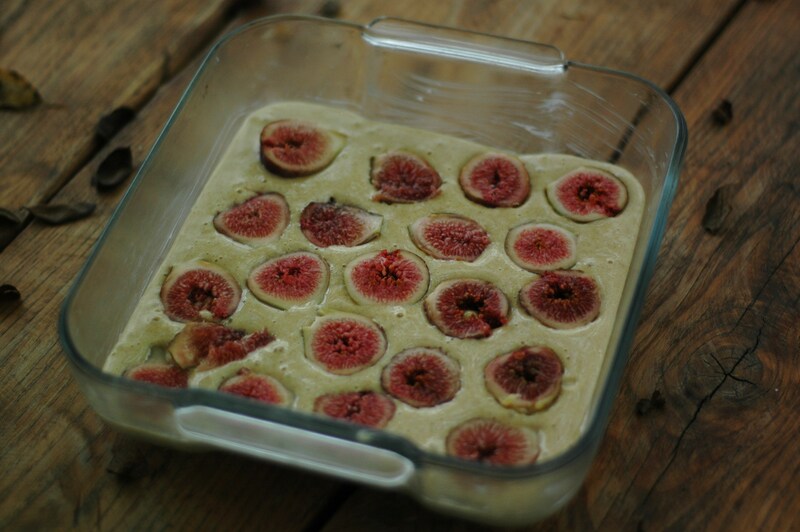 For a change, this is a great way to use Polenta as a simple, lightly sweetened snack or dessert. Good quality milk makes all the difference, if you can get it. 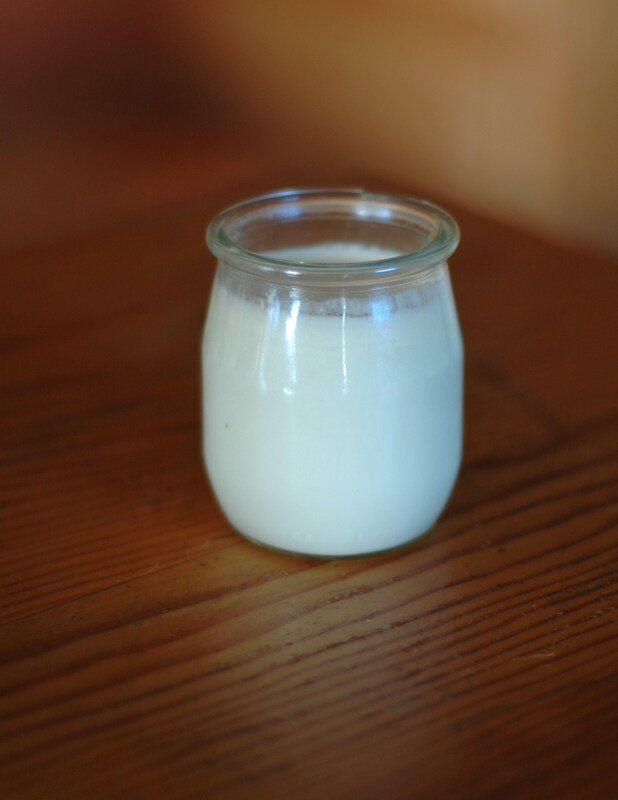 Here I used fresh raw milk from Jersey Cows also produced in the Basque Country. Bring the sugar, polenta and milk gently to the boiling point (pouring the polenta into the milk in a slow stream to avoid lumps). Turn the heat right down and cook over a very low heat for about 15 to 20 minutes to thicken the mixture. Stirring often with a wooden spoon. It will still be quite liquid. Add the rum, stir well and pour into one big bowl or individual glasses. Once cooled, off they go into the fridge to set for at least a few hours or overnight.